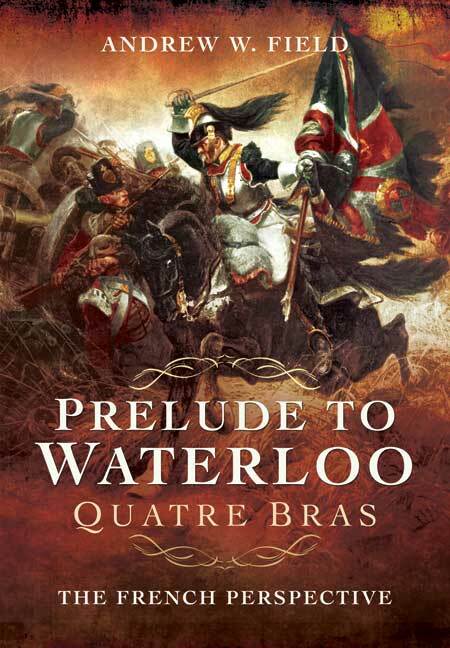 You'll be £4.99 closer to your next £10.00 credit when you purchase Prelude to Waterloo: Quatre Bras. What's this? The Battle of Quatre Bras was critical to the outcome of the Waterloo campaign – to the victory of the allied armies of Wellington and Blücher, the defeat of the French and the fall of Napoleon. But it has been overshadowed by the two larger-scale engagements at Ligny and at Waterloo itself. And too often the clash at Quatre Bras has been seen mainly through the eyes of the British and their allies – the viewpoint of the French has been neglected. It is this weakness in the history of the battle that Andrew Field focuses on in this original and highly readable new study. Drawing on French eyewitness recollections and later commentary, he reconstructs the French experience of the battle – and the French interpretation of it. He quotes extensively, and subjects to critical analysis, the conflicting accounts written by Napoleon and his subordinates as they sought justify their decisions and actions at this pivotal moment in the campaign. As a piece of historical research, this is a force majeur; an important assessment to add to the weight of evidence already accumulated from reports by the allied side. It’s a must read for anyone interested in the Napoleonic Wars, anyone studying warfare techniques of the era and anyone whose ancestors played some part in the encounter. Anglo Saxon books tend to consider the events of 1815 from the exclusive perspective of the British. Andrew Field takes a different attitude by studying the Battle of Quatre Bras from French sources, offering a new perspective of this significant confrontation that is often overshadowed by Ligny and Waterloo. A useful addition to any Napoleonic guides' library. The author has made good use of the sources available and presents an interesting story of the events around the crossroads at Quatre Bras, of infantry in Line and Column, along with forming Square to counter cavalry attack. The successes and the failures in the confusion of battle joined, and the aftermath of the decisions made in the moment. I found it a very readable account, and quite fascinating. Original and highly readable...For all those who want an idea of 'the other side of the hill' – then this book is a must. Andrew Field makes good use of the first-hand accounts available, which enhances his narrative. He doesn't waste time on the accusations of falsifying the records, either by Napoleon or Ney's son, which has obsessed some earlier authors. He points out that neither had much in the way of documents when they wrote, so it's natural they remembered what they intended to happen, rather than what did. This is a good book and deserves high priority in your 1815 library. As featured on BBC Radio Wiltshire. The author has produced a balanced view together with fresh insight. The reader will achieve a broader base of views and be better able to draw conclusions. This is therefore an important book and a timely publication. Andrew Field writes with a light touch that makes a very detailed discussion of this significant event of the Hundred Days' campaign is a pleasure to read. This volume is an ideal companion to his previous book on Waterloo and to Robinson's account of Quatre Bras. Andrew Field MBE is a former British army officer whose travels around the world have given him a unique opportunity to explore battlefields from ancient history to present times. He has always harboured a special fascination for the Napoleonic Wars. In particular he has reassessed Napoleon's campaigns in 1814 and 1815, and has carried out extensive research into Wellington's battles in the Peninsula. His books include Talavera: Wellington's First Victory in Spain, Waterloo: The French Perspective and Prelude to Waterloo: Quatre Bras.